2016 is nearly over, which can mean only one thing! It's time to look back on a fabulous year for blogging! There have been some real stand out moments over the past 12 months, and what better way to remember them than taking part in a little quiz! 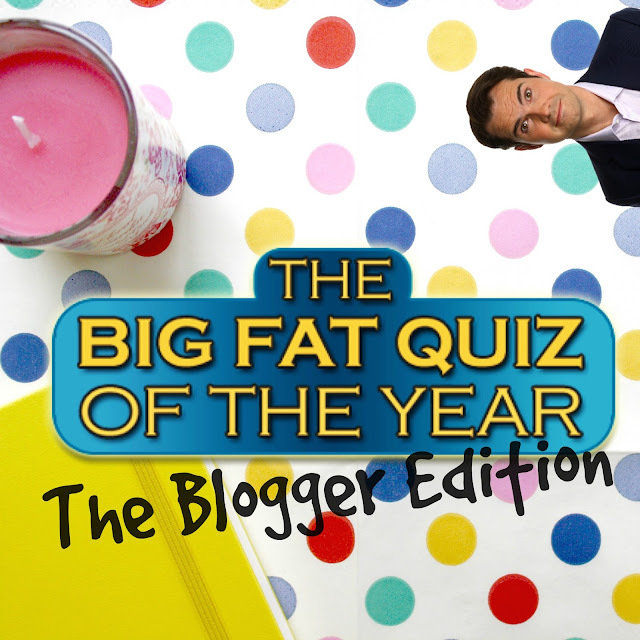 Now, I may not be Jimmy Carr, but I've tried my best and compiled twelve questions to allow you to test your knowledge of the biggest blogging highs and lows of the year! How many will you get right? Once you've had a go (without cheating, ladies & gents! ), check your answers in the small print at the bottom of the post. If you get them all, reward yourself with a bit of that leftover Christmas chocolate - you deserve it! 1. A blogger caused controversy with an anti vegan post this year. But what was one of the claims made in the post? 2. Another blogger came under fire for writing a Christmas stocking filler post featuring a ludicrously expensive item. What was the gift in question? 3. Which big print magazine caused ire when they blasted "greedy" fashion bloggers? 4. The blogging community pulled together to support Sarah (@wonderlandblogs) in a fundraising campaign in 2016. What were the funds successfully raised for? 5. Hayley from @teapartybeauty organised the Bloggers Blog Awards this year, a fabulous event that recognised all the hard work put in by bloggers. But can you remember which brand was the main sponsor? 6. This year, Jemma from @dorkfaceblog celebrated the first birthday of #TheGirlGang, her fabulously friendly online community! Which cult movie was one of the very first films watched at a Girl Gang movie night? 7. Posts entitled "How much is my face worth? ", giving beauty bloggers the opportunity to tot up how much their everyday makeup look cost, was a major trend in the blogging community this year. Can you remember how much Alice from @alicespake's total came to? 8. Hundreds of Twitter chat accounts launched throughout 2016, experiencing varying levels of success! Which well-known chat account, launched way back in 2012, hit a whopping 30k followers this year? 9. Another big spat that happened in the blogosphere this year was to do with Relatable vs. Aspirational blogging, with many people saying that big bloggers are no longer relatable because of their collaborations with luxury companies. But which of these big brands did NOT send YouTube star Zoella blogger mail over the past 12 months? 10. This year, Kayleigh from @veryberrycosmo started a very successful campaign to end stigma against a particular mental health condition. What was it? 11. Blogosphere magazine, a print publication written by bloggers, for bloggers went from strength to strength in 2016, with a truly gorgeous selection of coverstars! Can you recall who fronted the first issue of the year? 12. Certain brands have saturated the blogging world with their wares this year, and pretty much everyone under the sun has been reviewing them! Which of the products below was NOT a blogger mail staple in 2016? What are your most memorable moments from blogging in 2016? Share in the comments below!